Book now your reliable and punctual taxi company and enjoy a pleasant drive in our new, very well maintained and comfortable rental cars with driver - Our experienced drivers will take you safely and punctually to your destination! 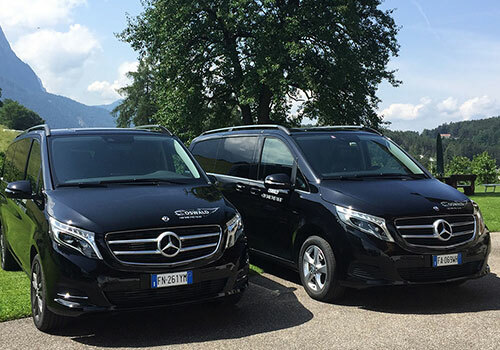 Are you looking for a local taxi company for your imminent holiday in South Tyrol? Have you decided to travel to the resort area around the Sciliar without car and you need a ride? In this case Taxi Oswald is your ideal contact person! 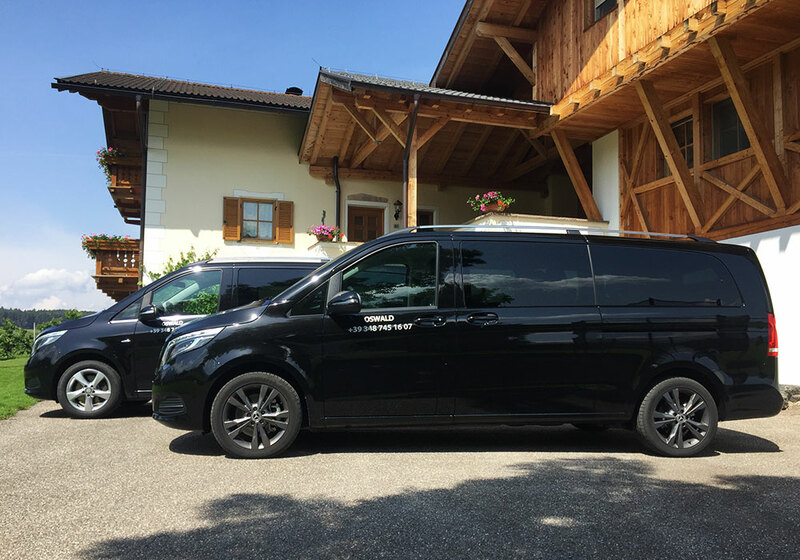 Taxi Oswald Goller offers transfers to and from the train stations and airports in and around South Tyrol. 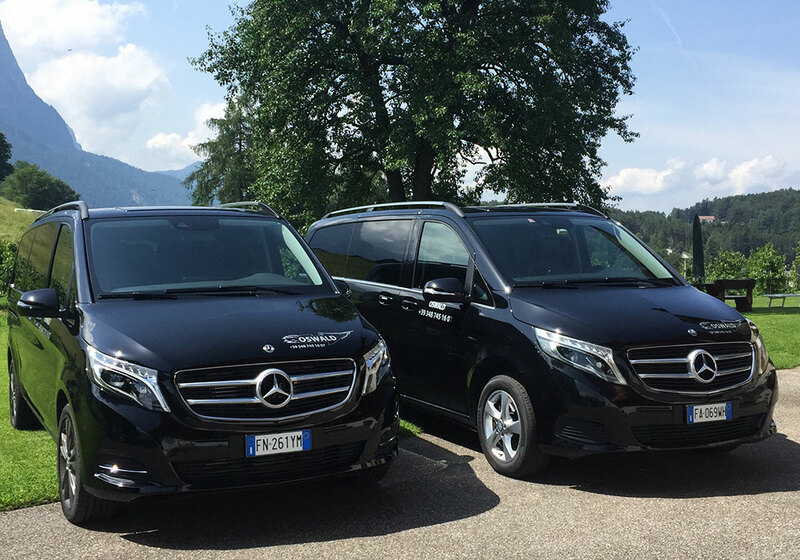 Thanks to his experience and reliability you will reach the vacation resorts Castelrotto with Fiè and Siusi allo Scilliar, the Alpe di Siusi and all its fractions but also the Val Gardena with its communities Ortisei, S. Cristina and Selva in a comfortable and untroubled way. 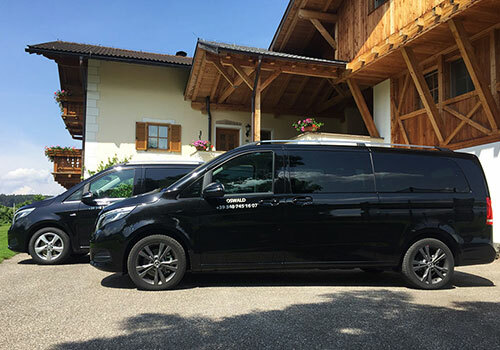 Furthermore there is the possibility to start daily tours with the excursion taxi in the Sciliar area, Taxi Oswald, and easily get back to your holiday accommodation at the end of the day. Mountain ShuttleExplore the enchanting Alpe di Siusi Alpine pasture comfortably by taxi - Choose Taxi Oswald as your shuttle service for numerous day tours around the Sciliar region. Airport TransferYou are planning your upcoming holiday and would like to arrive without a car? We take you stress-free to the airport and pick you up at the desired time. 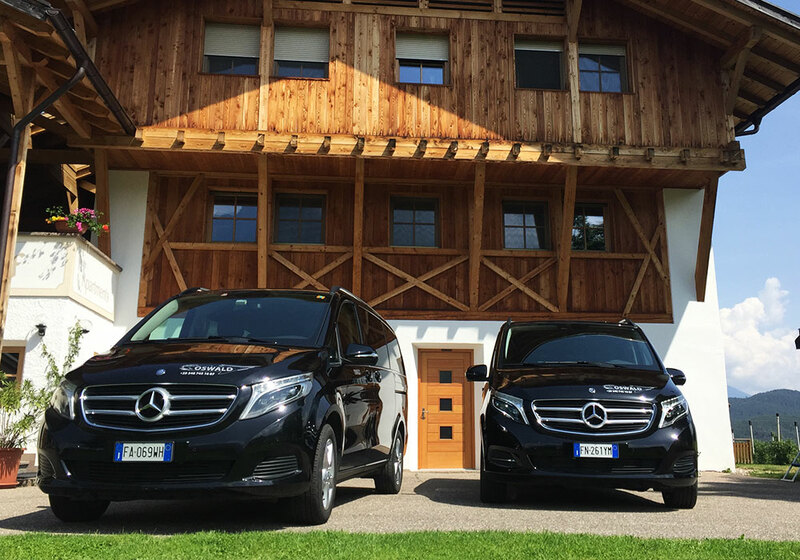 Taxi for EventsSafe, fast and comfortable taxi service for the most beautiful events in and around South Tyrol: You can count on us at any time and any place! With a surface of 57 km², the Alpe di Siusi is the largest and the most famous alp in Europe. Together with the Catinaccio and the Sciliar group, the high plateau forms the Nature Park Sciliar-Catinaccio that is located in the heart of the UNESCO’s world heritage of the Dolomites. In winter as well as in summer the Alpe di Siusi is a popular tour destination for all ages. The versatile flora, the wide offer of sports and leisure time activities and the cosy huts attract a lot of tourists during every season. The Sciliar: starting from Compatsch or from the Spitzbühl parking directly from your holiday accommodation, Taxi Oswald brings you to the Saltner Hut Tschapit, the starting point for the hike to the Sciliar, the most popular mountain mass in South Tyrol. The hiking trail leads over the Rosszähne to the Alpe di Tires, the Panorama and back to Compatsch where you will be picked up by taxi Oswald. Antermoia: Taxi Oswald brings you to the Malknecht Refuge from Compatsch or directly from your accommodation. This is the starting point for the "Antermoia" round. Walking in direction of the Refuge Alpe di Tires you pass the Passo Principe Refuge, the Kesselkogel and you get to the Antermoia Lake. Afterwards it goes back to Saltria through the nice Alpe di Siusi where Taxi Oswald will be waiting for you. In addition Taxi Oswald offers the possibility to be picked up in Vigo di Fassa. Friedrich-August-Weg: Taxi Oswald brings you to the Passo Sella, the starting point of the hike Friedrich-August-Weg that leads through the astonishing Dolomites, to the Sassopiatto Refuge. The hike continues to the Zallinger hut and up to Saltria. The tour around the Sassolungo and Sassopiatto starts from the Passo Sella, too. 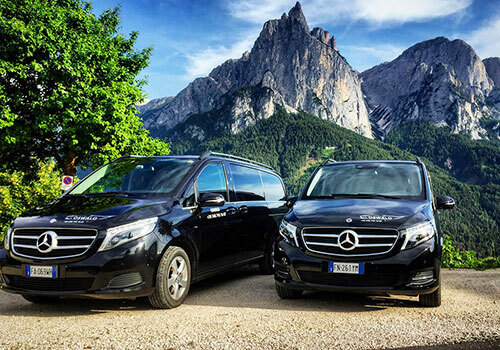 Larsec group: Taxi Oswald picks you up in Siusi/Castelrotto and brings you to Vigo di Fassa (Campedie). The hike leads over the Larsec Group to the Pass de Laussa, then to the Antermoia hut, to the Val Duron and back to the Alpe di Siusi. We would like to inform our customers that we must respect the regulations of the Alpe di Siusi/Seiser Alm landscape protection area. • Spitzbühel - Baita Saltner Schwaige-Tschapit (Hiking tour on famous Mt Sciliar). • Panorama – Goldknopf – Baita Almrosenhütte – Rifugio Molignon - Tirler. • Zallinger (Circumnavigation around Sassopiatto and Sassolungo). The taxi driver Oswald is at your disposal for more information about tours and times.